ROCKLIN, Calif. — A number of parents in Rocklin, California say that they feel betrayed after a kindergarten teacher recently read two transgender-themed books to students without their prior knowledge. “My daughter came home crying and shaking, so afraid she could turn into a boy,” one parent stated during a packed board meeting for Rocklin Academy on Monday. According to reports, the teacher, who has not been publicly identified, read the books “I Am Jazz” and “The Red Crayon” on the second-to-last day of school before summer break. The first book is about teen reality show star Jazz Jennings—a teenage boy who identifies as a girl, and the second tells the story of a blue crayon that was mislabeled red. No advance notice or opt-out information was provided to parents. Therefore, when students came home and advised that they had learned about gender identity, with some confused about whether they could transition to the opposite gender, a number of parents contacted the school to express concern. Principal Jillayne Antoon issued a letter a week later to advise what had transpired in the classroom. 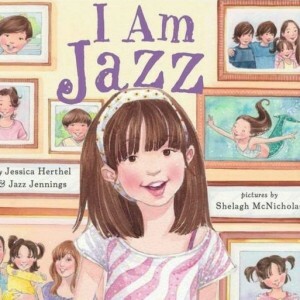 She outlined that a student had asked the teacher to read “I Am Jazz” to the class. According to reports, a student who was born a boy but identifies as a girl gifted the books to the teacher. It is not clear if the student who donated the books was the same kindergartener that requested that the Jazz book be read aloud. However, according to CBS News, parents say that the male student changed his clothes at some point during the class and presented himself as a girl. “I want [my daughter] to hear from me, as a parent, what her gender identity means to her and our family—not from a book that may be controversial,” one parent said on Monday during the board meeting in expressing objection. However, the teacher defended her decision to read the books to the class. The district also took the position that if the books were not read, it could have placed officials at risk of a discrimination lawsuit. Fox40 News further notes that Superintendent Robin Stout said that the teacher was not required to provide advance notice to parents because the books are not considered sexual education material. However, due to the concerns of parents, and the fact that the teacher did not seek prior approval from administrators before reading the book to the class, the district has changed its policy to require teachers to ask for permission first. “If a book is not part of our curriculum, such as these books, [we ask] that they’d consult with administration,” Stout outlined.